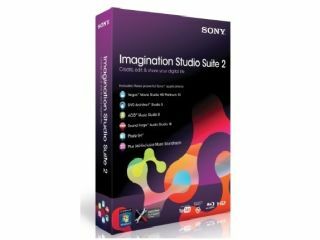 Sony's Imagination Studio Suite is the best way to get the very most from not only your digital video, but also your digital photos and even your music, too. You're able to easily turn your video shoots into Hollywood-style movies as well as make fun and original music remixes and mash-ups. The suite also includes a powerful photo organiser so you can keep your digital images in check. And, of course, you can always burn any of your projects to DVD or Blu-ray disc to share with family and friends. This complete suite of multimedia applications is everything you need to get started quickly, including Sony's innovative Show Me How tutorials. This unique teaching system provides interactive, step-by-step help so you can learn, create, and have fun – all at the same time! This competition is now closed. The winners are David King, Duncan Wheeler, Ross Harrison, Jason Crowley and Philip Brown.